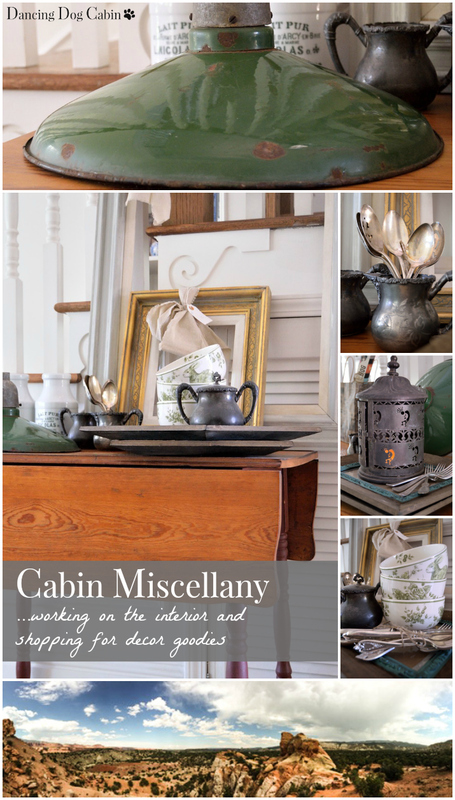 Now for something completely different from the things I've been posting about lately (collecting transferware, tablescapes, roses, Mother's Day tea, and so on)...it's time to jump back to our cabin project in Utah. Fun, frustrating, exhilarating, scary-- the scope of this project is far beyond anything my husband and I have tackled to date. But somehow everything, in spite of a few glitches and minor boos-boos along the way, has turned out for the good. 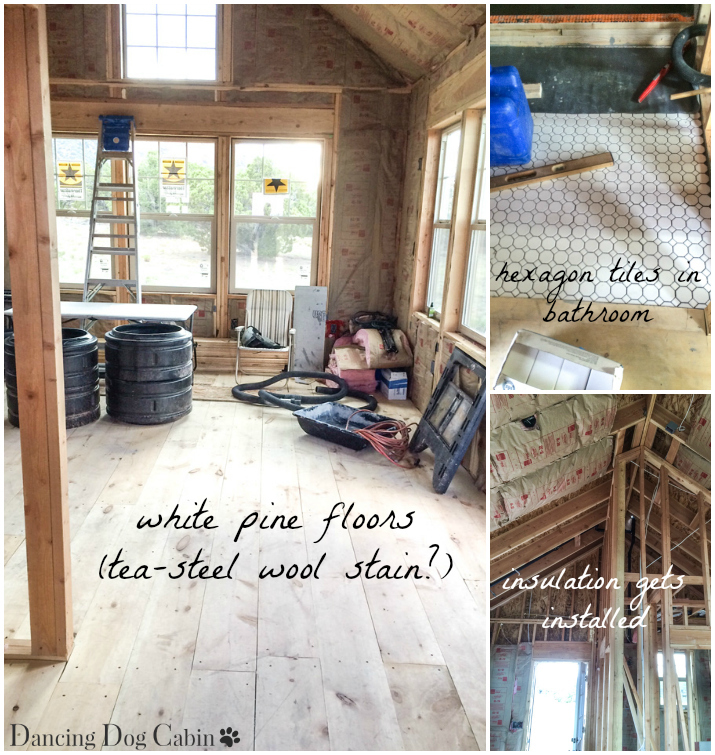 These are the things we must do to make the cabin 'move-in-ready' in order to get our certificate of occupancy. According to our water permit, we must have our certificate of occupancy by next February, or, theoretically, they shut off our water (gulp, not a good thing!). So, we really must get after it and get this project done. 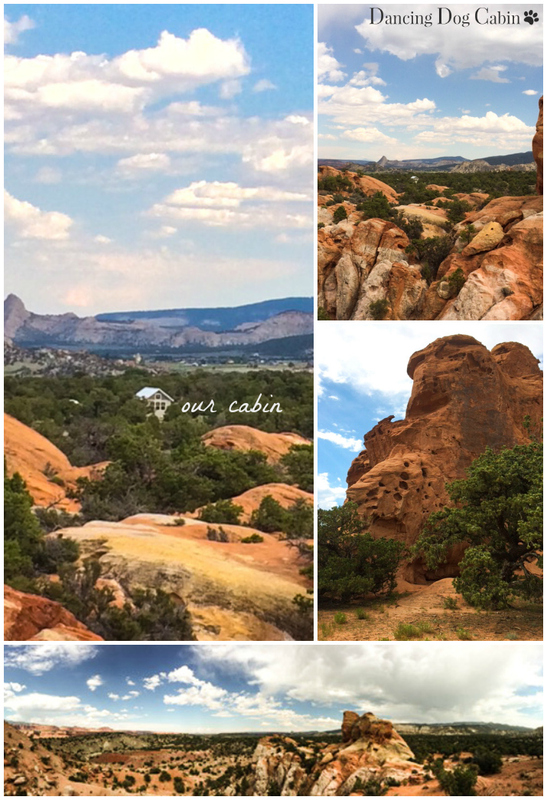 Please note that the next few photos and photo collages of the cabin interior and surrounding area were taken with an iPhone, so the quality isn't the greatest. Our biggest challenge is, of course, time and logistics. Both my husband and I are very busy right now with our jobs, the cabin is a 9-hour drive from our house in California, and we have to coordinate our work with several remaining inspections with the County Building Inspector. So lots of planning ahead, good communication, gritting-of-teeth, and patience... which has sometimes been in rather short supply... is needed to accomplish everything. 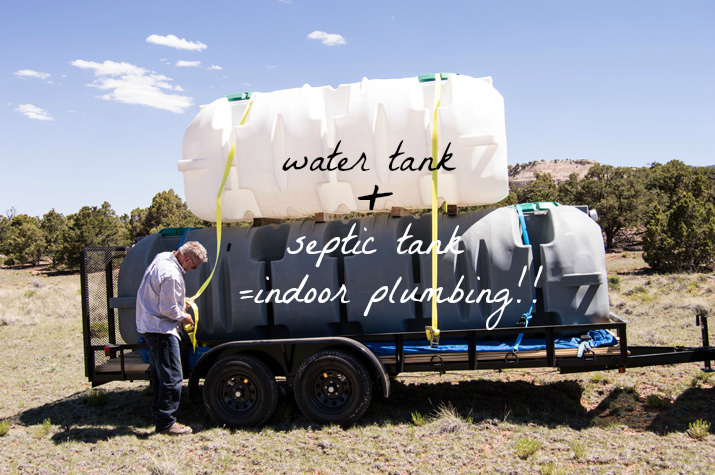 Who drives to a wedding hauling a water tank and septic tank? Well, we do. Knowing that we would be driving back to Nebraska for a family wedding at the end of June, I ordered the water tank, the septic tank, and the pine flooring several months before so that they would arrive in good time for us load them up on the trailer and to drop them off at the cabin on our way to the wedding. Hah! The tanks didn't come and didn't come and didn't come. "When can I expect the tanks to be delivered? ", I asked the guy at the tank supply place. "By mid May at the latest", I was assured. "Are the tanks arriving any time soon", I asked hopefully when mid May came and went without the arrival of our tanks. "They should be here in a few weeks", was his placating answer. "Where are our tanks?" I demanded mid-June, "we are leaving in a couple of weeks for our cabin and we NEED them to arrive before then..." They arrived a week before we were scheduled to leave. Mid way through my husband's working vacation, he texted to me "what were your plans for the shower pan?" I thought we had discussed this before you left, I reminded him. This had been a hasty discussion between the two of us once we arrived home from our Nebraska road trip and before he left to go back to the cabin about how the shower design and installation would go. With a brain fried from long hours on the road, I quickly calculated how much subway tile and pebble flooring I thought we would need to get the job done and then took off for Home Depot. Apparently I didn't buy enough, or at least not enough for the shower pan scheme that I thought we had agreed upon. Luckily, my husband was able to pick up more of what he needed from another Home Depot store, 60 miles away from the cabin....and I was able to scribble a quick sketch of the shower pan design, which I texted back to him....Not ideal. Neither of us is terribly happy with the way the top of the little shower wall turned out, we may tear it out later on, but for right now, we just need to pass the final inspection. Shower wall issues notwithstanding, overall, I'm thrilled with the results. My husband did an amazing job, as usual. I love the hexagon tiles and love the shower floor... can't wait to take a shower and feel those pebbles under my bare feet! Since I don't care for the red-ish stain of the table top, I will sand it to remove the finish, and get back to the wood's natural (hopefully more neutral) color. The rest will get re-painted. 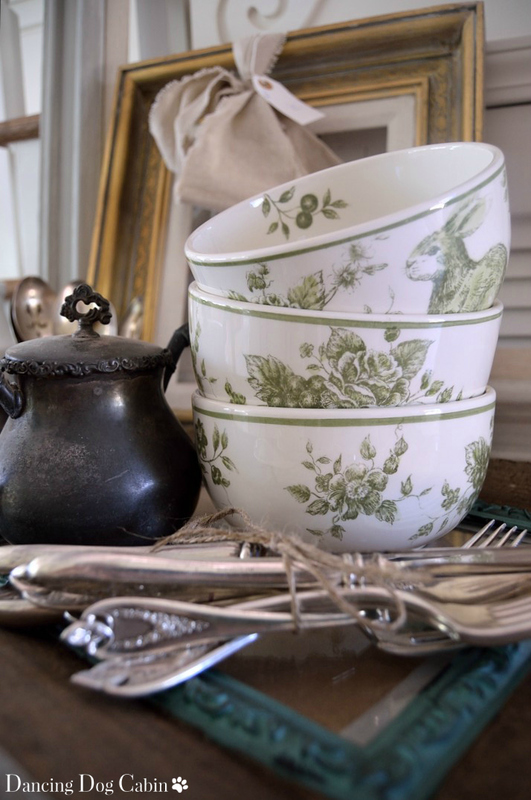 ... these pretty rabbit-themed bowls. We have jack-rabbits galore on our property, so I thought these bowls were perfect. 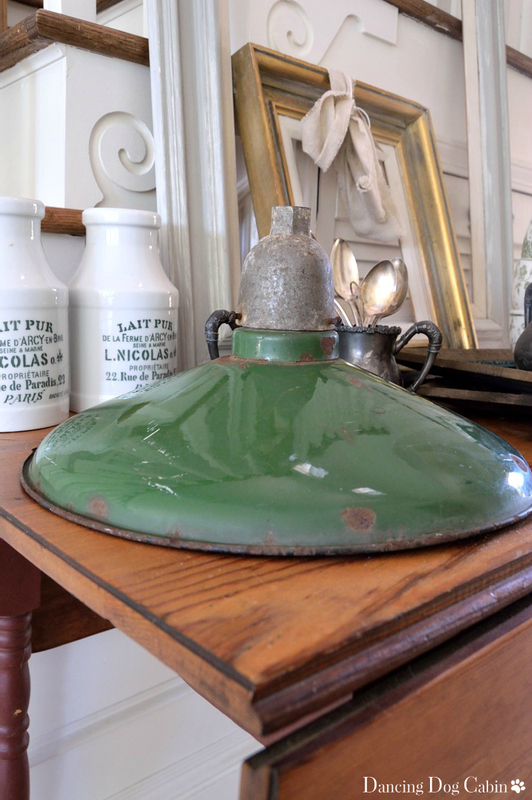 ... a nicely aged metal pendant lamp shade. Was it from a warehouse, a barn, a stable, an auto shop? I haven't had the time to research it. At any rate, I will clean it up and re-wire it so that it can be installed over the kitchen sink. I've been searching long and hard for something like this, and had just about resigned myself to buying a new, vintage-style pendant lamp, when I found this at a local antique store. There are plenty of great examples of new, industrial/barn style pendant lights available in stores and online, but the real deal has so much more character. Everything in this part of the country is all about Southwestern style, including architecture, interior decorating, and food, and I've been asked several times if that is the style we will be using for the cabin. I'm not a fan of Southwestern style, however it has come a long way from what it was in the '80s. 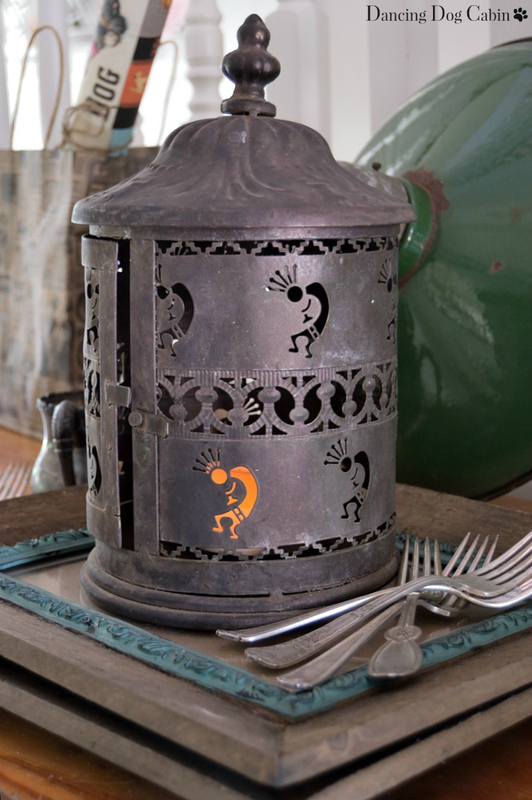 Nevertheless, this is not a style that will be necessarily emphasized in the cabin, although I'm not opposed to using a few 'Southwestern' elements, if I find something that appeals to me, such as this metal lantern. With its repeated Kokopelli figure, that icon of the Southwest (not to mention a deity important to several Southwestern Native American cultures), as well as its other subtle Southwestern patterns, it reflects the history and style of the area, but doesn't hit you over the head with an obvious stylistic statement. The picture frames on which the lantern sits are a lucky find at Micheal's (sale items)....I see a fun cabin-themed art project in my near future. The other things seen on the little table in the photos above may or may not end up in the cabin, we'll see. Many are destined for several California-house related projects. Don't you hate it when people say things will happen at a certain time (like your stuff being delivered) and then willy nilly change it on you? It is soooo frustrating! Good luck with the building process! We will all enjoy your updates! Thanks Angelina! Yes, it's definitely frustrating when deliveries don't arrive on schedule. What a beautifully amazing place to build a cabin!!! Congrats on getting plumbing!!! 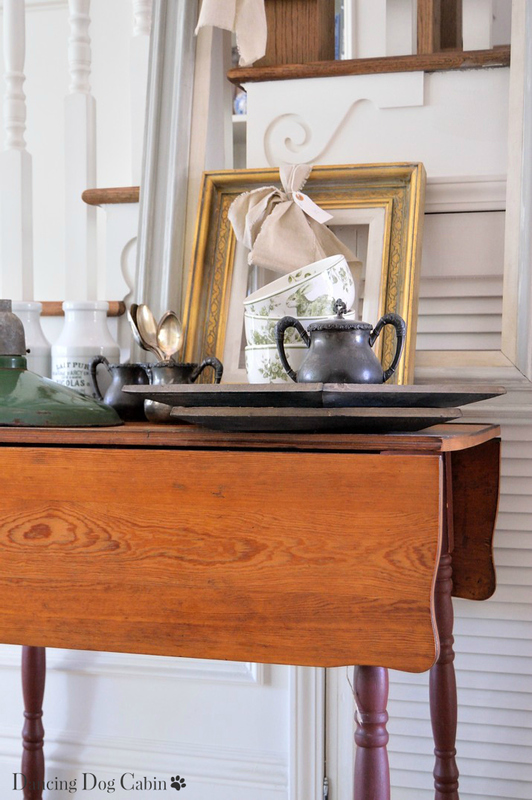 Love the hexagon tile for the bathroom and that drop leaf table! I just love the photo of where your cabin is - that is stunning! It's hard enough doing a renovation close by, but 9 hours away is really tough. At least the shopping part sounds fun! Thanks Amy! Actually, even though overseeing a cabin construction project long distance is challenging, it's also fun. The frustrating part is that everything is taking so much longer than we'd like. Just want to say thanks for linking up this up at Best of the Weekend! 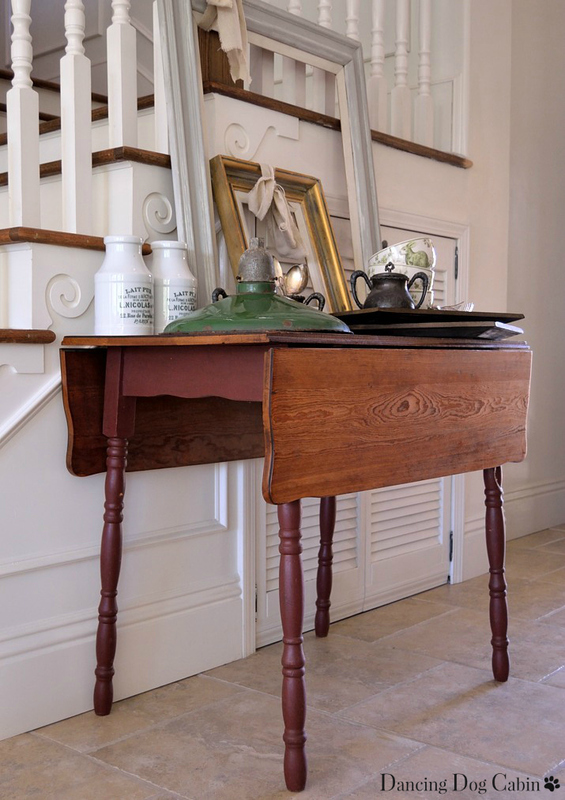 I love the pebble floor, and the drop leaf table is so pretty, I love mine, so nice your hubby is bringing your ideas to life! Thanks! Yes, my husband is doing a wonderful job with everything. 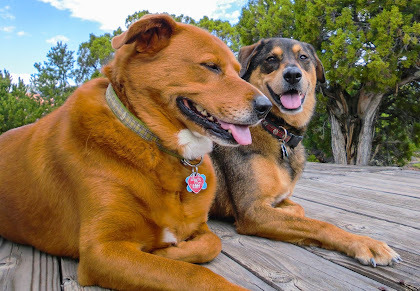 wow, you two must be talented to do the cabin on your own. I'm new here, but will be watching as you complete this project. Thank you! It's going along slowly but surely. The cabin is coming along wonderfully! 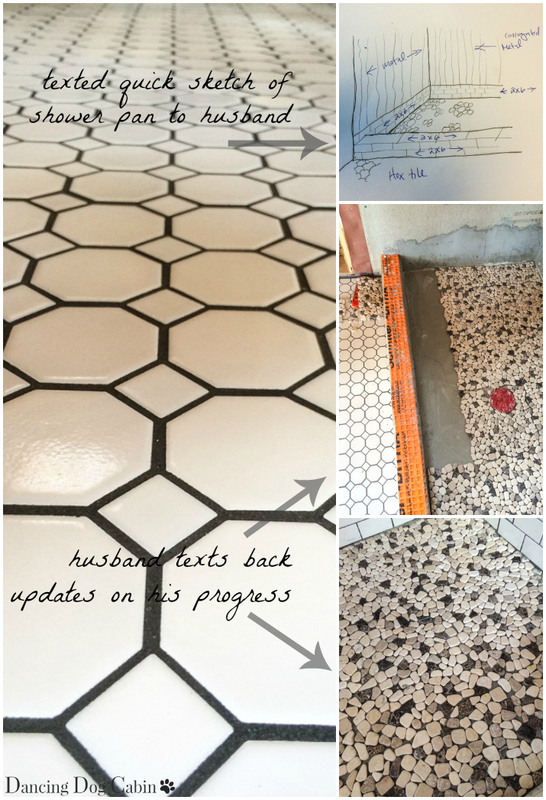 I love that hexagon tile! Can't wait to see more! Thanks for sharing at Inspiration Thursday. See you next time! Thanks Lela! So far I'm loving the hexagon tile and the pebble shower floor. But we're just getting started! Oh yes, I forgot that you are building a cabin in UT. I'm thinking it has to be in the St. George area. I too am not a fan of Southwest décor. We have thought of buying a place there a few times, but hasn't happened yet. I love the rabbit bowls! Perfect mixing of cabin and cottage. 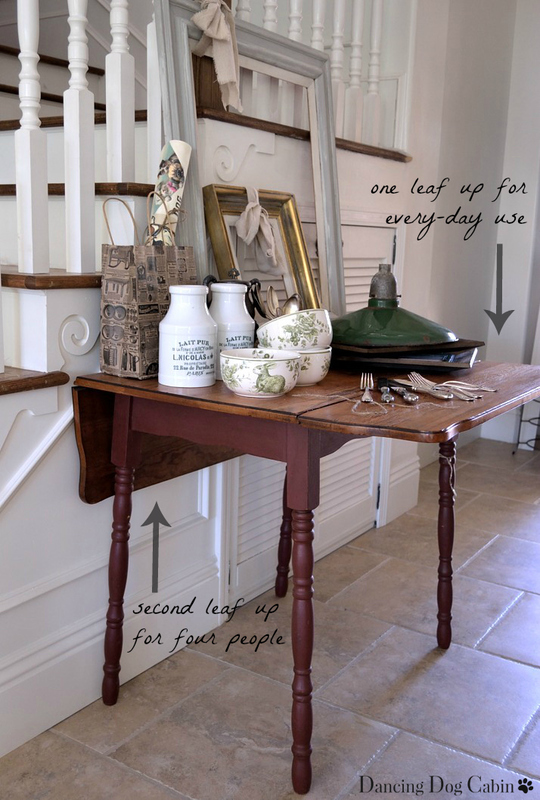 I love drop leaf tables and the old light is fabulous! I bought a small white one with a similar shape a while ago hoping to use in my garden shed. Thanks for sharing with SYC. We're actually a couple hundred miles northeast of St. George. Yes, I'm pretty thrilled about finding the old pendant light. Thanks for visiting! Nothing worse than someone telling you "such and such" will be delivered or "name that project" will get done and having them take their time with it. I totally understand your frustration, as I have a handyman that been working on my roof for two months and it still isn't done... ugh. Thanks Rue! I'm definitely looking forward to the really fun decorating, finishing-touches part. Hi Melissa. your blog is quite interesting. Your cabin flooring is awesome. Pictures are interesting. Please keep on posting such interesting information.